Christmas is around the corner and you might find yourself panicking about the presents you haven’t had time to buy. Good news, though, if you’re buying presents for someone who loves fitness and gym is his or her favourite place, we have some tips for you! If you know what his or her favourite gym is, you’ll nail this one. Buy a gift card that will enable them to try new lectures or to train with a personal trainer for a few hours, or if there’s a wellness and spa section there you can’t go wrong with that! It’s a lot easier than it sounds to buy sports clothes actually if you’re buying it for a person you know quite well. They’re stretchy so you don’t have to worry about the size too much and there are quite a few options – a pair of leggings with a cool pattern, a top in a cool colour or some accessories such as a headband or run gloves for the colder weather – just make sure you’re buying pieces made of top quality material. Yes, water bottles are a thing now. You don’t have to have the huge plastic one anymore, there are many with a sleek design that will make any trip to the gym even more enjoyable. Choose from collapsible ones, golden ones, colourful ones or ones that filter the water, the possibilities are truly endless. Everyone who likes to work out and listen to the music at the same time needs these. They are not cheap but they are worth every penny! I can promise you this gift will be greatly appreciated since there’s nothing more motivating than a good song during a winter workout without having to deal with tangled cords. 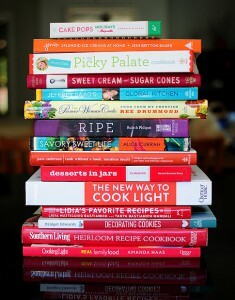 There are so many new cookbooks out right now, it’s very easy to find something that suits different eating habits. So whether your fitness friend is vegan, vegetarian, paleo, sugar free, loves juices or doesn’t, there’s a cookbook that will make him or her happy. Go to your local bookshop, they will help you choose the right one. If reading about the latest trends is their hobby, a subscription to a magazine you know they might like is a great choice. The biggest plus is that they’ll receive it throughout the year so your gift will keep on giving long after Christmas :). Next story Dragonfly Superhero contest is here again!